Poor Translation Can Damage Your Company’s Reputation - Niki's Int'l Ltd. Regardless of the industry you’re in or the products or services your company distributes, its extremely difficult to conduct business with a tarnished reputation. When there has been an incident that casts a poor light upon your company, you will notice the impact it can have on incoming revenue, new consumer bases and it can even make your valued return customers cease to spend money on your offerings. When engaging in international business of any sort, you don’t want to look foolish, uneducated, disrespectful, uncultured or unprofessional in front of your foreign business partners or customers. In international business, interaction amongst people who do not speak the same language will occur and a lack in the utilization of professional translation services can ensure your company will be viewed poorly. Being perceived as unprofessional can make international partners not want to do business with your company and can also turn customers away from your products or services. This mistake allows room for competitors to swoop in and collect the potential international customers you’re working hard to gain. Negative media regarding your company can affect your online platforms, customer reviews, employee turnover rates and result in higher business operating costs, low margins and devalued stock prices. Companies with the best reputations tend to be industry leaders, they would not trust the delicate art of translation to anyone other than professionals. Its vital that important business documents and marketing content be translated accurately and void of any linguistic or cultural mistakes. More and more businesses are depending on translation services as they branch out overseas, it’s vital to enlist the aid of a professional language service company (LSC) in order to gain access to highly trained and experienced translators. In many situations translation is an afterthought, people wait until the last minute to think about a task that is the most important. If a document or content of any sort needs to be understood by a person who speaks a different language, its most important to ensure that person is able to read the content in a language they understand. Translation is a delicate as well as strenuous task, it takes an educated, highly trained and experienced professional to successfully complete the job. Translators dedicate years of their lives to the development and maturing of their remarkable skills in order to provide a culturally and linguistically accurate translation. The only way to ensure your translation is completed with the highest regard for accuracy is to hire a professional LSC to handle the responsibility. Taking the time in the initial stages to speak with a LSC will significantly aid you in the long run and rid you of the damage poor translation can cause your companies reputation. Waiting until the last minute can put your project and reputation at risk. Relying on cheap translation services or machine translation software will definitely set you up for failure. Once your company becomes involved with partners and consumers internationally, it’s a great idea to partner with a reliable and experienced LSC. Once a partnership has been developed, all of your language needs can be handled accurately, professionally and in a timely manner. 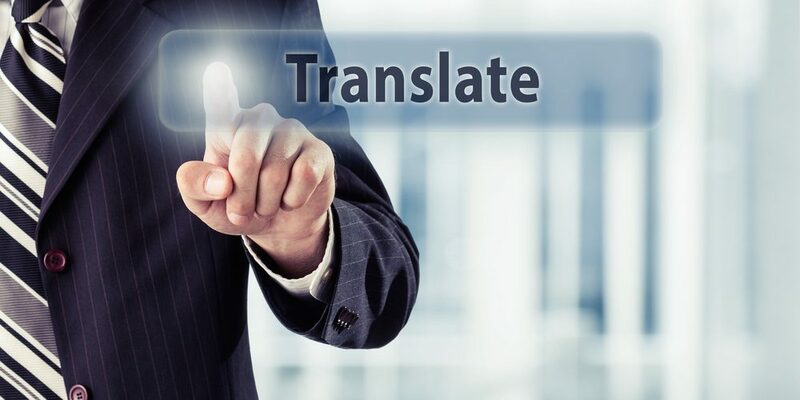 Poor translation can be the difference between securing an investment and losing a business deal altogether, Niki’s Int’l Ltd. is a language service company who understands their clients needs and will go above and beyond to ensure you receive an accurate and pristinely translated document every time. Niki’s Int’l Ltd. has over 20 years of experience providing translators in over 350 languages and dialects. Rid yourself of the uncertainty and do not put your companies reputation on the line by not hiring a professional language service company for translation services.